A MOBA game with arcade elements, created by Hi-Res, a studio known from such productions as Global Agenda or Tribes: Ascend. 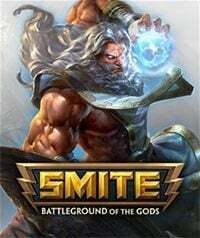 Smite allows the players to direct the actions of mythological deities who fight team battles in thematically diverse arenas. Smite is a production that focuses on network skirmishes between the players. The whole is based on the model well-known from Defense of the Ancients mod for Warcraft III with three key differences. Firstly, battles are shown from a third person perspective. Secondly, controls are inspired by typical action games/TPP. Finally, the gameplay is arcade, because is is based on the so-called skillshots. This basically means that any attack or spell needs to be carefully aimed if you do not want to miss. The game was developed by a team at Hi-Rez Studios which has already released such titles as Global Agenda and Tribes: Ascend. The players assume the role of deities from different mythologies. Each of the available characters has its own characteristics and unique powers. Our task is to reach the enemy base and kill the mighty Minotaur located there. There are computer-controlled allied units implemented moving along the designated lines in order to help us. As you progress in the game, gold and experience points gained are used to acquire new weapons and powers. What distinguishes this game from the countless DotA clones is the control system. Most of the competition utilizes a strategy game style of controls such as issuing commands with the mouse. Smite, on the other hand, is played just like arcade games. The camera is placed behind the back of the protagonist and combat effectiveness of a deity depends both on our reflexes and our accuracy, not just statistics. The game is based on the free model with voluntary micropayments. The game was built using the Unreal Engine 3.0 technology, which provides graphics full of details, presenting a significantly higher graphic level than typical DotA clones.